Years Riding: Can you believe they let 18yr olds buy R1s? Bought this new less than a year ago. It's perfect for track use with the rear ramp door for easy loading and a side door. I've decided to get something bigger in a toy hauler so I'm selling this at a good price. $2600 OBO. Located in north Fontana off the 210. Two wheels vs four. When less is more. When I win the lotto and have a place to keep it and can do track days again ... GLWS though. 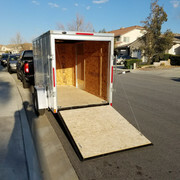 Nice trailer. If you don’t get any bites, somewhere else to try is the karting community. I go to Adams in Riverside and Fontana, and often see guys struggling to get karts in and out of their trucks. 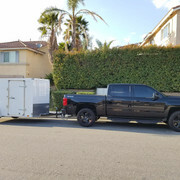 I use a trailer just like yours and always hear “I really need to get one of those”. Page created in 3.476 seconds with 36 queries.